Vassilis Katsos (PIERCE ’91), President of PHARMATHEN and Nelly Katsou (PIERCE ’83) Vice President of the Board & Managing Director, have graciously established an expendable scholarship fund that will support the educational priorities of The American College of Greece. This gift will provide two half tuition scholarships and will be awarded to high-performing PIERCE students in need of financial assistance. Mr. Katsos, who was named “Entrepreneur Of The Year” by Ernst & Young in 2008 and represented Greece in the international competition “World Entrepreneur Of The Year” in Μonte Carlo in 2009, was born in Athens and heads one of Greece's leading pharmaceutical companies, PHARMATHEN, with a dynamic presence abroad. He graduated from PIERCE in 1991, and studied at the University of Athens, School of Pharmacy. In 1993, he and his sister Nelly Katsou (PIERCE ‘83), Managing Director and Vice President took over the reins of the family company, strategically restructuring PHARMATHEN, first strengthening the company’s presence in the Greek market, and then enhancing its international presence. Today, PHARMATHEN is one of the largest generic development companies in Europe, with exports to 85 countries worldwide. "Scholarship support is an essential part of the College’s mission and enables ACG to provide educational opportunities to talented students who need assistance in meeting the cost of a high quality education," said ACG President David G. Horner on the occasion of Mr Katsos' Gift. 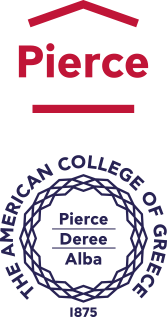 "We are grateful to the many alumni, friends, corporations and foundations who are stepping forward to provide scholarship support," ACG's Vice President of Development George Triantaris noted, adding "we hope that the scholarship established by Mr. Katsos and PHARMATHEN will inspire others to participate in this important endeavor."